It starts with a dead girl. Mattie, aged 11. Found in a field after being missing for days. 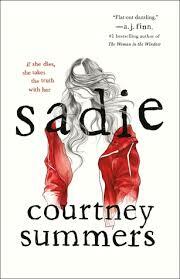 Her sister, Sadie, then goes missing. This felt quite different to the other books by Summers that I’ve read. There was an unusual style of writing, with excerpts from a radio podcast interspersed with the story of Sadie. The podcast lent an air of interest to the story – watching someone else uncover the events that we were already familiar with, but also piecing together the strands just that little bit after we had been told certain details. We follow Sadie as she tries to find the man she blames for her sister’s death. Along the way Sadie makes some deeply unpleasant discoveries, and it makes us think a little more about how easy it is for people to hide their true feelings/behaviours if they choose to. Throughout, there was an ominous tone to the story. The threads surrounding Sadie pulled tighter and tighter, and it felt like the resolution was not quite what we hoped for. Personally I found the ending to be frustrating as Sadie’s story was not clearly resolved. I liked the way this was left open to a positive possibility, but with what we know I can’t help but feel it wasn’t on the cards. So, last part in the trilogy and I really didn’t know what to expect. The opening sets up an idea very clearly and had me wondering what on earth might lead to that conclusion. Then our action switches to three months earlier and we are shown some of the details that bring us to the end-point. I found myself trying to recall some details from the previous two books, but here we see how the teens have been affected by Mariel’s death and the way they’ve been coping with events since then. Avery has herself a new boyfriend, Max, and is toying with the idea of moving to study in Oxford. But her love for Atlas is not going to die easily, and their father’s election leads to some awkward situations. Watt and Leda – possibly my favourites of the group – drift together and we see them piecing together the events of the last few months. Rylin and Cord are very different, but we learn sometimes the differences aren’t such a barrier. Calliope, stuck in her con for the first time ever, is struggling to stay true to herself. Thankfully, some matters aren’t left in her hands. 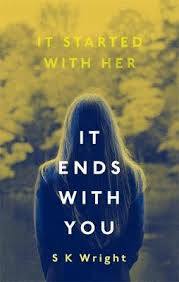 While the ‘ending’ was dramatic, I was pleased that not everything was as clear cut as we expected. I was surprised by one or two revelations, but it felt this could have been tightened up. Is it possible to be scared of reading a book because you’re worried about being disappointed? It’s sat on my bookshelf for months, I’ve picked it up a couple of times and each time not felt I’m up for it. All around me I’ve seen people raving about it, and felt I should be reading it but not wanted to start. More fool me. Though some of the plot details lag, as we learn more about Zelie and Tzain we realise that their quest to restore magic to their world will be fraught with danger. From Zelie’s training to the final moments when she claims her place, this was a fantasy story like no other. Zelie is a strong character, not without her flaws, but she faces her challenge with true grit. She is up against it, faces her fears and even continues when many would have crumbled. Alongside Zelie, we have Inan and Amari- the prince and princess who have been raised to fight, to fear magic and who sense that things don’t have to be the way they’ve been led to believe. Each of them has to fight prejudice – both their own, and that of others. It wasn’t until I got to the end and read the author’s note that I read about the symbolic role of this book. 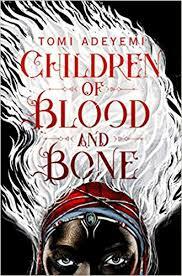 Fighting for your spirit, fighting against prejudice and the reckless slaughter of innocents…how did I not get that as well as a great fantasy story this was also a book about race? Amongst the final lines of the novel are the words: We are all children of blood and bone. All instruments of vengeance and virtue. 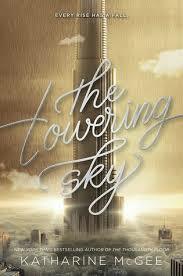 It sent shivers down my spine and I am excited to see where book 2 goes.